The World Cup is here and it’s exciting stuff with a great sense of anticipation. Roy Hodgson has had his team together for several weeks and it’s imperative that he gets everything right for the tournament if he wants to lead England to success. The same goes for the other managers and teams. 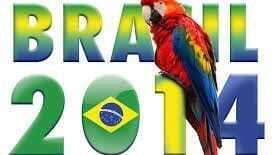 But what can SME business owners learn from Brazil 2014? We feel that there are 7 things we can take away and apply to our small businesses. Do you know your market? What research have you carried out? Do you know the players and how they position themselves. And do you know what makes you stand out? To succeed, you need to be ahead of the game and really understand both what your customers need and how you compare to your competition. Roy Hodgson has no doubt been planning for these coming weeks for many months not least since England qualified and maybe even before. He will have had many planning sessions with his colleagues and team. What’s your plan? How do you play to your strengths? What are your tactics? If you fail to plan, you almost inevitably will plan to fail! So, consider your growth target, sectors in which you want to play, marketing activity and so on. Don’t just meander hoping to achieve your goals. Every team needs a structure. Different people bring different skills and it won’t work if you don’t have this blend. No team works with all defenders or all strikers. Your team won’t be effective if you don’t have business developers and managers. Consider what you need and the structure you need to both win and manage your business. Structure is important. However, that’s only effective when each member of that team knows his or her role. You need organisation. Every team member has a job. Who is your defensive midfielder to shield the back four and to mop up. Who is your striker or business developer? Who is the completer finisher in your team that ensures that the details don’t get forgotten? There have been many examples of teams winning trophies that didn’t have the best individuals. Greece won the Euros in 2004. Chelsea won the Champions league in 2012. There was no doubt they didn’t have the best players. What they did was to play to the best of their ability and displayed the best teamwork on the day that won the prize. How does your team work together? Do you actively encourage and foster teamwork? How do you ensure that conflicts don’t arise and you get the best out of your staff? It’s unlikely that England will win the World Cup without scoring. Whilst not always the case, it’s likely that the team that scores most goals will get close to the main prize. Who are your strikers what’s your plan to give them the opportunities to score? Who is responsible for lead generation in your organisation? What tools do you use for business development? Attacking midfielders set up the ball for the strikers. Who is appointment setting for your new business efforts? No team develops without effective coaching and training. New methods, new tactics, defensive and offensive approaches. Roy Hodgson has goalkeeping coaches, defensive coaches and striking coaches. He has fitness trainers and even psychological support just in case we have to ensure another nail biting penalty shoot out. How do you train your team? What are their needs to do an effective job to support your business growth? Contact us now for your free consultation to see how our B2B Telemarketing Services can work for your business. Or visit our FAQ’s page for more information.